June Meeting – Merchant du Vin and John Hawk’s Pub! 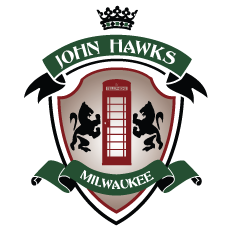 Our next meeting will be Thursday, June 13th at John Hawk’s Pub! We’ll start with social hour at 6pm and meeting at 7pm. Jim Blockinger from Merchant du Vin will join us. Merchant du Vin imports excellent beers in the classic styles from the brewing nations of Scotland, England, Germany and Belgium. Jim will have samples of some of the tasty beers in his lineup. There is a $5 fee for this meeting. Hope to see you on June 13th! This entry was posted in Uncategorized on May 3, 2013 by barleysangelsmke.